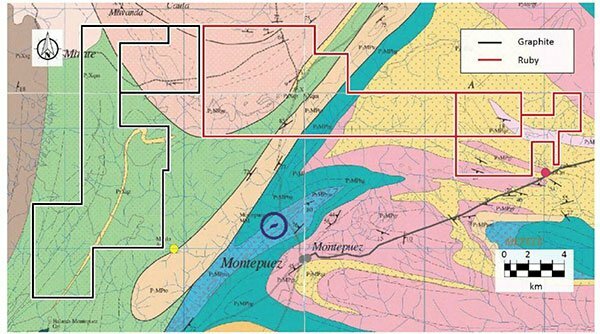 Mustang Resources (ASX: MUS) has today informed the market that a strategic review led by new Managing Director, Dr Bernard Olivier has found that the company’s Caula Graphite Project in Mozambique is on track for first production by the middle of next year. Importantly, the review found that Caula has a high level of potential to produce high-value vanadium products, which would add excellent cash flow opportunities for the company. Further, the review established that Stage 1 of Caula will produce vanadium concentrate which can be either sold or stockpiled for further processing to high-purity vanadium products as part of Stage 2. The strategic review was conducted alongside a Concept Study, which the company states is set for completion in the June 2018 quarter. Of course, as with all minerals exploration especially in high-risk regions such as Africa, success is not guaranteed — consider your own personal circumstances before investing, and seek professional financial advice. Caula contains an exceptional combination of graphite, both high-grade (13% TGC) and large flakes sizes (~55% large, jumbo and super jumbo). Concept Study is on track for completion by Q2 2018. The vanadium content of the ore represents an additional cash flow opportunity, especially given the structural shift in the vanadium market. The most effective way to develop Caula involves a two-stage process. The two stages, as stipulated in the report, are planned as follows. Stage 1 Development Strategy comprises “a robust, low-cost mining operation producing ~100,000tpa of ore for 10,000 to 15,000tpa of high-grade (97% C+) graphite concentrate”. 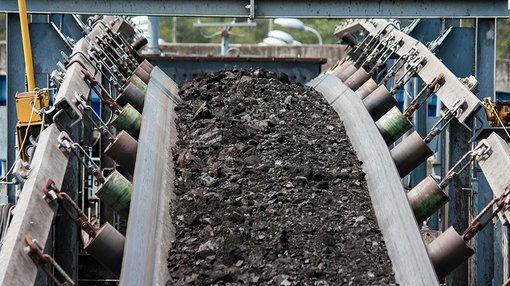 From the start of operations, vanadium will be extracted to a concentrate. This will be sold to a vanadium producer or stockpiled for future production of refined vanadium pentoxide chemicals (98% and 99%+ V2O5). Further, the proceeds from sales of graphite and vanadium products produced in Stage 1 will be used to secure binding off-take agreements and associated finance required for Stage 2. Stage 2 will involve the expansion of mining operations to between 300,000 and 600,000tpa of ore, and construction of a large full-scale processing plant capable of delivering 50,000 to 75,000tpa of high grade (97% C+) graphite concentrate. It will also comprise of the construction of “a full-scale vanadium concentrate processing plant capable of producing refined vanadium products (99.9% purity vanadium pentoxide and other vanadium chemicals such as vanadium sulfate) for the fast-growing aerospace alloy and battery markets”. The company explained that, assuming a hypothetical ore grade of 0.4% V2O5, a 600,000tpa mining operation could produce ~2,000tpa of V2O5 (98% and 99.9% purity vanadium pentoxide chemicals) with a current market value of >US$60 million p.a. Mustang’s Caula graphite and vanadium project located adjacent to its Montepuez Ruby Project in Northern Mozambique. Last month, MUS announced it would be raising up to A$4.43 million dollars via a one-for-four non-renounceable entitlement issue at 2.3 cents per share, to go towards exploration at the Caula project. In the last 12 months vanadium’s supply and demand dynamics have seen a lot of change. The main use of vanadium across the world is as an alloying agent in full alloy and high-strength low alloy steels. Of note is the fact that China has recently increased the minimum specification for reinforcing steel used in buildings. Consequently, domestic vanadium consumption is expected to increase by 10,000 tons per year (as reported in the Metal Bulletin, August 2017). These factors — as stipulated in MUS’s announcement today — could mean that, if the vanadium price and graphite basket price work in the company’s favour as it predicts, Stage 1 of the development process could produce more revenue than the total all-in costs for the processing plant within the first 12 months of production. China has shifted from being a net exporter of vanadium to a net importer, possibly due to the use of vanadium in redox flow batteries (VRFB batteries) which are used for largescale energy storage. At the same time, vanadium supplies have tightened, with the price heading sharply north in the last two years to current levels of ~US$30,500/ton. As a result, vanadium was the best performing battery metal of 2017.